Bella Vista on Carlin Park - Walk to the Beach! Condo with two master bedrooms, one king, one queen, and three single beds. Vacation in this renovated 3 bedroom Condo adjacent to the Park and just minutes walk to the beach! Two Master Bedrooms each with their own bathroom cable TVs , and plenty of closet space. Fully equipped Kitchen with all new appliances . Large living area with 48 inch Smart TV, with cable & free Netflix. Loft upstairs, one single bed, with desk, and , two single beds downstairs off living area, with Cable TV. Free Wireless high speed Internet throughout condo. Handball Courts and Bocce Court. Walking/Running Heart Trail available steps away on Carlin Park. WALK TO THE BEACH, Picnic Area with Grills, and 'Lazy Loggerhead Cafe. Located 25 minutes from Palm Beach Airport, and just 10 minutes from Roger Dean Stadium, the Condo is convenient to shopping, beauty salons, business center, all types of restaurants, movie theater, live theater, golf, boating, kayaking, deep sea fishing, and so much more. Heated Pool with Clubhouse: Enjoy our spotlessly clean, heated pool, with plenty of lounge chairs. Have lunch at the shaded open-air clubhouse with microwave, refrigerator, tables and chairs, television - a wonderful place to bring your own lunch and relax right by the pool! The casual open-air clubhouse has a small free 'library' for light summer reading. Perfect Location: Relax on our upstairs deck which overlooks Carlin Park. Catch the first morning sun with your coffee or enjoy an evening cocktail while enjoying the breeze. Carlin Park is just steps from your front door, a popular jogging and walking area, with tennis courts at your disposal. Many of our guests enjoy their early morning walk or jog on the heart trail. The beach is just a short 5 minute walk away and has a public Picnic Area with grills. The very popular 'Lazy Loggerhead Cafe' is right there for an early morning breakfast, a sit down meal, or a delicious take-away. The Condo is minutes away from all types of restaurants, shops, bank, movie theatre, beauty salons, even a fitness center! Walking or driving, you are close to everything and there is no shortage of entertainment in our area. Amenities: Our Condo has all the amenities you will need to enjoy your holiday. We have tennis rackets, beach chairs and beach towels for all our guests. The kitchen is fully equipped with a new refrigerator with icemaker, new dishwasher, coffee maker, microwave, citrus juicer, blender, plenty of dishes, glasses, bakeware, pots and pans, etc. The separate utility room includes a large washer and large dryer, iron & ironing board. We have free high speed Wi Fi, high definition flat screen TV's, DVD's, CD player, radio, hairdryers, alarm clocks and plenty of closet space for each bedroom. Ceiling fans are in every room, window shutters to keep the cool air in, and of course air-conditioning throughout. We care about pleasing our guests, and we strive to give them all the comforts for a home away from home. I live in the same community, so I am always on hand to answer any questions and take care of any problems, concerns you may have. Parking for one car & plenty of guest parking . No Trailers, Campers, Pickup trucks, boats, motorcycles, commercial vehicles are allowed on the premises. Large flat screen smart tv with cable & free Netflix. We planned our annual "girl's trip" (5 women over 55) to the East coast of Florida this year. This condo was perfect! We all had separate, comfortable sleeping quarters with nice linens. The kitchen was well stocked with everything we needed and we cooked at home several evenings. Carlin Park was a nice place for morning walks and the walk to the beach was easy. A beautiful pool very close to the unit was a plus and the full time residents were very friendly! Drinks on the balcony in the evening were perfect, as were coffee and sunrises each morning. I am a VRBO owner an this rental was wonderful! Great place and thank you for sharing with us! Thank you so much for your kind review. We are so very glad you enjoyed your stay with us, and it was our pleasure to have you as our guests!! We really enjoyed our time at 760 Bella Vista. It was a very comfortable place with a well equipped kitchen. The unit facing the park made it peaceful and fun to watch all the people that use the park! We will definitely be back to rent this place! We rented the Bella Vista condo for a week and a half for the Holidays, and enjoyed every second of it! The condo came with all the amenities you could possibly need, and was walking distance from both the beautiful Jupiter Beach, as well as numerous local shops and restaurants. Shay was a pleasure to deal with, and made everything hassle-free. Would definitely stay here again! We are so glad to hear you enjoyed your stay with us! Thank you so much for your kind review, and we hope to see you again next year. Great location and very comfortable stay! Jupiter and Bella Vista met all our expectations and was a great location for our family! We stayed for a month and the condo was very comfortable with all amenitites you could need, the included Netflix was much appreciated by our kids. The area has lots to offer and we enjoyed the feeling of preservation, at the beach, turtle care and even the wild ocean 80ft below with guaranteed adventures. For relaxation at Bella Vista we spent much time at the pool by the club house which was warm even at dawn. We highly recommend this condo and all our contacts with Shay at TAD was first class. We are so very pleased that you enjoyed our condo and the surrounding amenities, especially our beach, which we do take great pride in, here in Jupiter. I am thrilled your children enjoyed Netflix. We did include that amenity especially with children in mind, and are gratified that it added to there holiday enjoyment. Thank you so much for your kind review. We do hope you will return again. Wow, the condo was well furnished, clean, and very comfortable. We were right next to a heart health trail that also lead to the beach! Upstairs room and landing was beautiful! Downstairs was very nice too and very comfortable. The pool was great. We had our daughter and grandchildren with us and they truly enjoyed the stay as well. Shay was a wonderful hostess and took great care to ensure our trip was wonderful! We will be back. I would 100% recommend staying here! We rented the condo for a full month, and our stay was awesome. First, the condo is literally on the park, and a very short and enjoyable walk to the beach. We had a toddler in a stroller, and the walk was nice and easy. The park was beautiful and relaxing to walk through. Also, the beach is wonderful. It is big enough for everyone to have plenty of room, and it is flat so a baby can enjoy playing in the waves. The condo was very clean, and it felt like you were staying in a friend’s house. The kitchen was up-to-date with all the amenities you’d ever need. The bedrooms were BIG and private. The bathrooms were also great, the showers had great water pressure, and there were plenty of towels for everyone. We also liked how solid the place was built, as it was very quiet and we never heard any noise from any of the neighbors. The condo is also in a great location. The pool is about 90 seconds away, and it is a great pool, good size, heated, and very clean. Also, the grocery store is right down the street, so it was easy to get everything we needed for our stay. The condo community is well-maintained, quiet, and everyone we met was very friendly. Last, I will say that dealing with Shay from TAD Properties was great. She was very friendly, extremely responsive to all of my questions, and a real pleasure to deal with. Renting from Shay made our vacation that much better, because everything went so smoothly. Our vacation was simply perfect, and if you are looking for a clean, quiet, roomy rental with all the amenities by the beach, then this is the place for you! Located 25 minutes from Palm Beach International Airport, the Condo is convenient to shopping, beauty salons, fitness center, business center, Paragon movie theatre, and all types of restaurants! The ROGER DEAN STADIUM is just a short 10 minute drive from the Condo. Bella Vista is a quiet community nestled along Carlin Park in the heart of Jupiter. 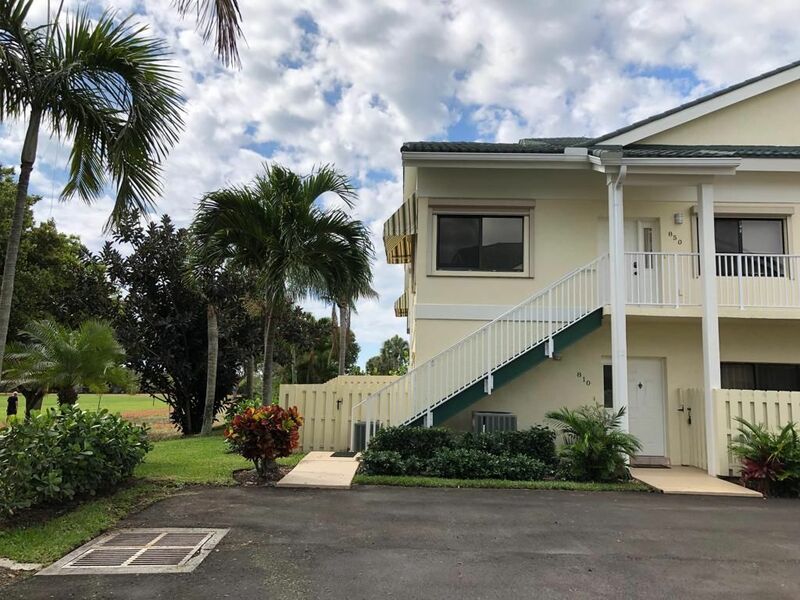 Just a SHORT WALK TO THE BEACH, the Lazy Loggerhead Cafe, Picnic area, Pool, Tennis Courts, Walking/Running Trail, and Handball Courts, make vacationing here a delightful experience. The newly renovated Maltz Jupiter Theatre offering live performances is within walking distance. The Riverwalk featuring beautiful scenic bicycle trails, bars, restaurants, fairs and other events is also within walking distance. Harbourside has just been opened, features wonderful restaurants, bars, shops, and live evening concerts is just a 10 minute walk away. West Palm Beach, only about 20 minutes south, features the Kravis Center for the performing arts, City Place for shopping, movies and nightlife, and downtown Clematis for nightclubs and entertainment. Other Activities: kayaking, canoeing, nature trails at the nearby Loxahatchee State Park.